Shannen started at the school in September 2015. She teaches on Monday evenings as our Tap and Modern teacher. 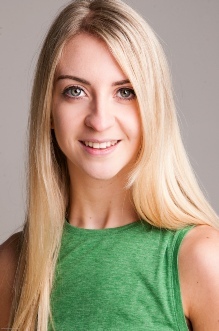 Shannen trained for 3 years at Italia Conti Arts Centre where she completed her DDI and DDE teaching qualifications. She recently finished as dance captain at a Warner and leisure hotel in the Isle of Wight. Shannen has been teaching for 6 years and thoroughly enjoys teaching all ages from babies up to adult level. Shannen is a fun enthusiastic teacher and is looking forward to being a part of the Demi Moore School of Dancing. Please Note: All teaching staff are fully qualified and DBS checked.